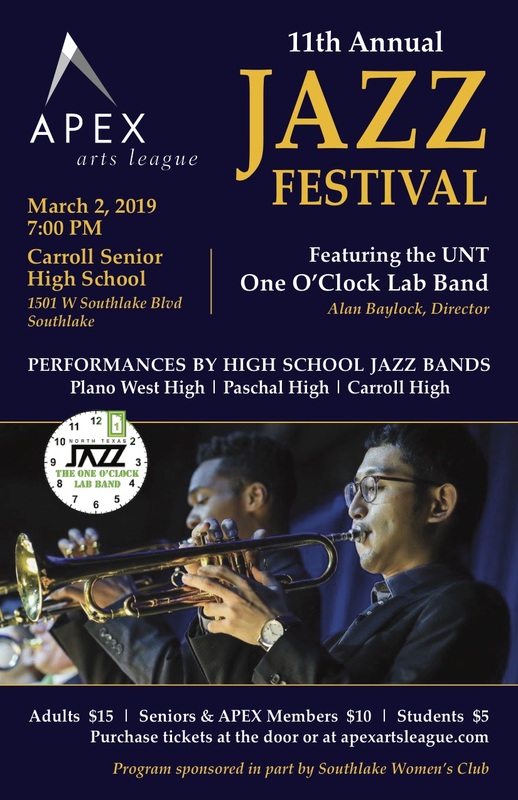 The One O’Clock, under the direction of Alan Baylock, is the premier seven time Grammy- nominated performing jazz ensemble from the internationally acclaimed University of North Texas’ Jazz Studies Program. Tickets at the door are $15 for adults, $10 for band parents, seniors and Apex members and $5 for students. Tickets can be purchased online at apexartsleague.com or at the door.